Peirce College students and alumni exemplify what it means to be adult learners, and 2018 Information Technology graduate Jocelyn Valentine is no exception. Jocelyn graduated high school in 1989 and had every intention to attend college, but had to put her education on hold because she couldn’t afford it at the time. She took a job working as a secretary and enjoyed it for a while, but after a few years she began to think about a career change. Jocelyn had an interest in computers, so she enrolled in a class to earn a networking certification and switched her role at her place of employment from a secretary to the IT Help Desk. After some time working at the Help Desk, she knew that she’d need to earn her college degree if she wanted to climb the ladder, so she enrolled at Cumberland County College, a community college partner of Peirce College, in 2006. After attending Cumberland County College as a part-time student (since she worked full-time while attending school), Jocelyn graduated with her associate degree in Computer Science and Information Systems in 2010. Soon after that, though, Jocelyn experienced an unexpected layoff at work, so she decided that the best thing she could do would be to continue on with her education and earn her bachelor’s degree in Information Technology. To find the best fit at a four-year school where she could obtain her bachelor’s degree, Jocelyn reached back out to Cumberland County College’s transfer office for help. Considering her busy schedule and need for flexibility and online classes, and because all of her Cumberland County classes would transfer, Peirce College was recommended to her as the most logical fit. It was a recommendation that Jocelyn is still thankful for to this day, as she speaks fondly about her experience at Peirce. 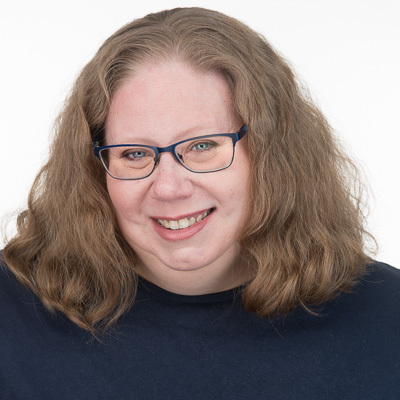 Due to her experience and education, Jocelyn has now worked for several years at a new job as an IT Support Specialist in the local government office in Cumberland County. Even after graduating with her bachelor’s in June 2018 with a 3.96 GPA, Jocelyn is not quite done with her academic achievements yet; she is now taking graduate classes in Cybersecurity. Though she doesn’t have as much free time as she’d like, Jocelyn enjoys road trips and traveling (she hopes to visit all 50 states!) and watching zombie movies. Peirce College salutes Cumberland County College for providing Jocelyn with a wonderful educational background, and wishes her well in all of her future endeavors!